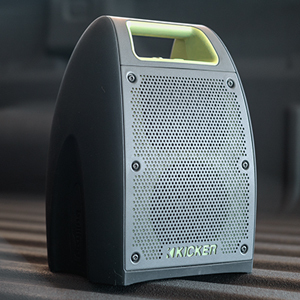 Big Kicker® sound meets Bluetooth portability in a compact package. Packed with power, the Bullfrog® is built for fun in the sun. Up to 20 hours play time and up to 100’ Bluetooth range. Pair to your device, plug in using aux cable, or listen to the built in FM tuner.